Nikolas Cruz, the Florida shooter responsible for killing 17 people, was an active part of a chat group rife with racist messages targeting Black people, Mexicans and Jews. In the private Instagram chat group, named”Murica (American flag emoji) (eagle emoji) great” by Cruz, CNN reports that Cruz talked about killing blacks by cutting their necks, keeping blacks in chains and killing Mexicans. Hundreds of hateful messages, memes and videos were posted in the group. Cruz posted racist messages saying he hated Jews and believed they wanted to destroy the world and hated blacks because they were black. He hated gay people and urged another group member to “Shoot them in the back of head,” when they said they hated gays too. In a public post on his Instagram page, Cruz showed off seven guns and body armor. His AR-15, which he reportedly used to mow down 17 people last week, and other guns were a frequent topic of conversation in the group chat. According to both the Associated Press and ABC News, Nikolas Cruz was part of a group called the Republic of Florida, which wants to create a white-only state in Florida. Jereb also said that while Cruz was a part of the group, he did not know him personally. The group describes itself as a “white civil rights organization fighting for white identitarian politics” and holds paramilitary drills, which Cruz attended in Tallahassee. 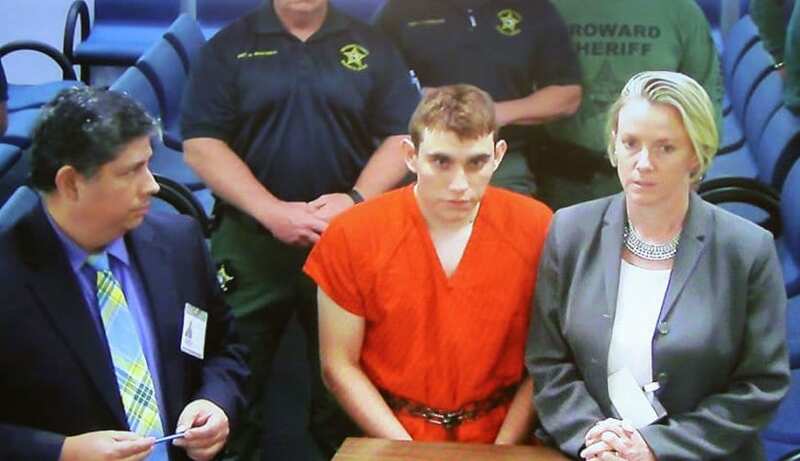 According to NBC News, Nikolas Cruz has been charged with 17 counts of premeditated murder and is looking to plead guilty in exchange for a sentence of life without parole. Across the country students are stepping to the forefront of the gun control debate by scheduling school walkouts and a march in Washington. The Women’s March EMPOWER branch will kick things off with a call for “students, teachers, school administrators, parents and allies” to take part in a walkout on March 14. Those participating are encouraged to walk out of their classrooms at 10 a.m. for 17 minutes (one minute for each life lost in the massacre), according to NBC News. On President’s Day, several teenagers staged a protest to call for better gun reform in the wake of the deadly school shooting. The group called Teens for Gun Reform had asked for 17 volunteers to lie down outside the White House for three minutes, the amount of time that Nikolas Cruz spent shooting at students and teachers at Marjory Stoneman Douglas High School. But while they had originally asked for 17 people to represent the 17 people killed in the shooting, over a hundred people responded to the call for action. Ten days later, on March 24, students from Parkland, Florida, where the shooting occurred, are planning their own “March for Our Lives” rally in Washington, D.C.
“No special interest group, no political agenda is more critical than timely passage of legislation to effectively address the gun violence issues that are rampant in our country,” said the group. On President’s Day, several teenagers staged a protest to call for better gun reform in the wake of the deadly school shooting in Parkland, Florida last week. In the wake of the deadly school shooting by Nikolas Cruz, President Donald Trump is reportedly open to the idea of improving a federal background checks system for gun purchases. On Monday, Principal Deputy Press Secretary Raj Shah released a statement about the bill that Sen. John Cornyn, a Texas Republican, and Connecticut Democratic Sen. Chris Murphy, have introduced. The bill, which Shah said Trump had spoken to Cornyn about, would reportedly beef up the reporting system for offenses that would keep people from purchasing guns. “While discussions are ongoing and revisions are being considered, the President is supportive of efforts to improve the federal background check system,” Shah said, according to CNN. Thus far, the only action Donald Trump has taken on guns since taking office has been to relax restrictions keeping mentally ill people from acquiring guns.